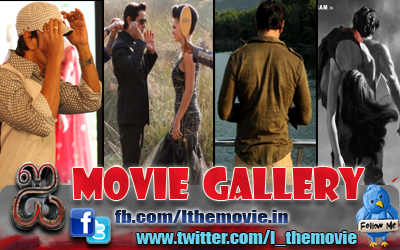 Home » Featured , Latest Buzz , Paper News » Chiyaan Vikram film title leaked? Chiyaan Vikram film title leaked? That cinematographer turned filmmaker Vijay Milton, who has proved his mettle with his blockbuster Goli Soda,is teaming up with National Award Winner Vikram for a movie is a known secret. The film which has the vivacious Samantha as Chiyaan's romantic pair is being produced by A.R Murugadoss.The movie based on a travel story,will have Vikram playing a car driver in it. Sources say that the film is along with the lines of Hollywood filcks, like Transporter and Gone in 60 seconds. The big buzz is that the title which is under consideration for Vijay-Vikram duo film is Patthu Endratthukullae ( Before Counting 10). Versatile actor Pasupathy is playing an antagonist to Vikram after their earlier film, Dhool. while Imman is composing the tracks, the movie went on the floors today as the Ai actor had given Milton suitable dates.